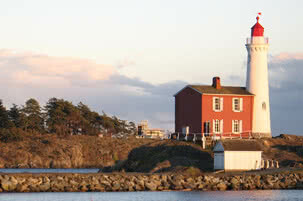 Often referred to as the “Hawaii of the North” – Vancouver Island is a gorgeous place to live. Views of the Pacific Ocean are abundant but living close to it is rarely affordable. 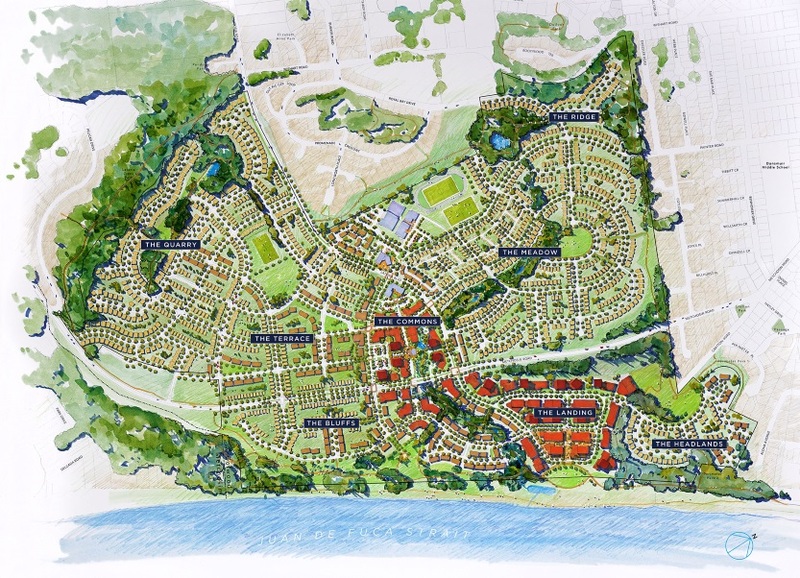 The new seaside community of Royal Bay in Colwood is sure to please those looking to be part of a west coast seaside community. 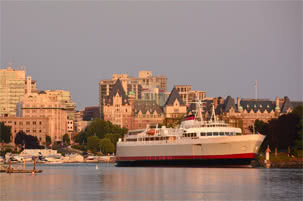 Victoria is the capital of British Columbia, and the Greater Victoria region has been growing substantially recently. Many new neighborhoods are being developed in the area, & one such neighborhood worth discovering is Royal Bay. The area was once a well-known quarry and gravel extraction site, but is now quickly turning into a modern seaside community on an amazing 419-acre plot of land with over 1.25 KM of stunning shoreline! This amazing new neighborhood is quickly becoming a favorite for anyone seeking natural beauty and peaceful serenity in a charming coastal community. Read on to learn more about Royal Bay, and why you may want to consider calling it home! The main plan for Royal Bay includes quality housing as well as proper long-term infrastructure. 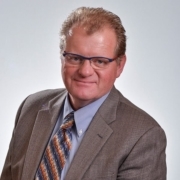 The master plan is to populate the area with parks, schools, services, shops, and homes of all sizes. The public areas close-by like The Commons and The Landing will be developed to include seaside shops, services, and restaurants. The hope is that Royal Bay will emerge into a modern seaside village that will attract homeowners seeking an authentic community to enjoy life & raise a family. Being by the water is nothing to take for granted, and the plan for Royal Bay is to take full advantage of this special location while also being responsible in the way the area is developed. Residents will be able to enjoy many seaside activities, including beach volleyball, kayaking, and other marine activities just a short walk or drive from their homes. 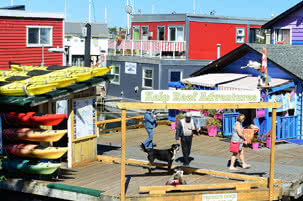 Unlike most parts of Canada, the island where Royal Bay is located has a temperate climate. This means that the benefits of living seaside can be enjoyed throughout the year & its seasons. Golfers can be seen all year, even during the winter months! Winters are short lived as the spring season usually comes earlier compared to other Canadian regions, with summer shortly behind it. Summers are long, and the Fall season is always gorgeous too. With changing seasons bring changing wildlife as well. Not only will residents be close enough to land animals like birds, deer, and more – but being close to the ocean also means a chance to see amazing fish like migrating whales, salmon runs, and more! The all-season seaside benefits at Royal bay are endless, and has something for everyone! It’s not hard to see why there are so many great things to say about Royal Bay. 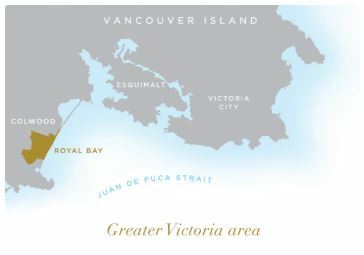 Besides being located on Vancouver Island (“the Hawaii of the north”), this up-and-coming neighborhood is also being developed seaside along the 1.3 km of coastline! Residents will be able to enjoy all the benefits of coastal living, while also residing in one of Canada’s more temperate climate regions. The neighborhood of Royal Bay has enough for families of all sizes and ages. Make sure to contact a realtor at McLean Real Estate Group today if you’re at all interested in Royal Bay! Victoria BC Real Estate 2018 Year In Review by The Outdoorsy Realtor!